Sailboats are primitive crafts that are not renowned for their speed, therefore yacht racing is not about pure high octane thrills, but instead is a challenging and complex sport combining science, endurance and intellect. There are two main types of yacht racing event – harbour or buoy racing and offshore racing.Harbour and buoy races take place in protected waters around a course designated by buoys or other markers. The races are relatively short and can last anywhere between minutes and a few hours. Offshore yacht races are held over long distances in the open water, and last anywhere between several days to the months involved in circumnavigating the globe. Famous world offshore races include the Transpacific Yacht Race, the Bermuda Race, the Clipper Round the World Race and the Volvo Ocean Race. The course begins at an imaginary line drawn from a ‘committee boat’ to the designated starting marker. A warning shot fired by the race committee boat signals to the crew to sound how long it is until the race begins and the aim of each ship is to cross the start line at full speed exactly as the race starts. A typical course involves sailing upwind to mark #1, ‘the windward mark’, then bearing away onto a downwind leg to a jibe marker before racing down another downwind leg to the final downwind mark, or ‘leeward mark’. Once past this marker, the boats turn into the wind again to tack to the finish line. Match racing is specific discipline of harbour or buoy racing whereby two identical boats race against one another. It is duel that is based on strategy and tactics where the winner is the one able to handle the boat and use the wind and currents most effectively. Match racing is widely recognised as the basis for the America’s Cup. The America’s Cup is the most famous yacht racing regatta in the world, and often referred as the ‘Formula One’ of sailing. Its prestige as well as the oldest trophy prize in international sport attracts many of the world’s greatest sailors. It consists of a best of nine series of match racing. The two competitors are the current title holder and the winner of the Louis Vuitton Cup, and they compete in the holder’s home waters. Those sailors looking to get involved in yacht racing are advised to begin by learning the ropes through an introductory racer’s course in a small sailing vessel. The Royal Yachting Association (RYA) have devised a course called ‘Start Racing – Go Club Racing’, which teaches sailors all they need to know about completing a course in a dinghy, multihulls or small keelboat, and will give them the confidence, skills and knowledge to take part in club racing in good conditions. Once novice sailboat racers have mastered the basics there are various specialised racing organisations, such as Sailing Logic Racing, that offer racing advancement courses. These courses include ‘Race Development’, ‘Race to Win’ and ‘Inshore Yacht Race Training’.Yacht racing demands a lot from its sailors both physically and mentally but those strong enough to meet its challenges can reap its unparalleled rewards. 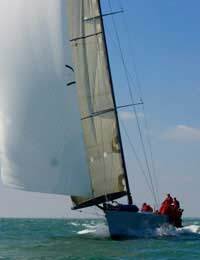 Also, as a gift for sailing enthusiasts check out Yachting Experiences, who specialise in yacht racing experiences.